Joseph E. Keil, PE is Chief Engineer of Churchill Consulting Engineers with more than 30 years of experience. He oversees the firm’s structural and highway design services and construction inspection services, including bridge and cell tower inspections, dam design and inspections, sign structures design and inspections, geotechnical evaluation, foundation and building design, hydrology and hydraulic engineering evaluations, underwater structural inspection and rehabilitation, and many Churchill proposal efforts. 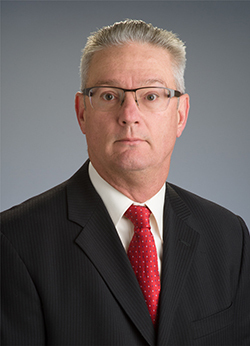 He serves as project manager for numerous multi-disciplined New Jersey Turnpike Authority (NJTA) and Department of Transportation (NJDOT) projects for bridge replacements and rehabilitation and highway widening and resurfacing. Mr. Keil has a Bachelor of Science in Civil Engineering from Penn State University and completed the FHWA Bridge Inspectors Training Course for Fracture Critical Bridge Inspections and has participated in the NJDOT Steel Bridge Forum. He is a licensed Professional Engineer in New Jersey, Pennsylvania, Delaware, and Virginia. He is a PADI certified professional engineer diver. Mr. Keil worked for the NJDOT for six years and is very familiar with the NJDOT’s policies and procedures. He has been involved in the inspection and rating of over 2,000 NBIS bridge inspections, many of which required fracture critical (hands-on) analysis.